Norman Cornett’s “dialogic” style of teaching made him the subject the NFB documentary Professor Norman Cornett: ‘Since when do we divorce the right answer from an honest answer?’ (trailer). 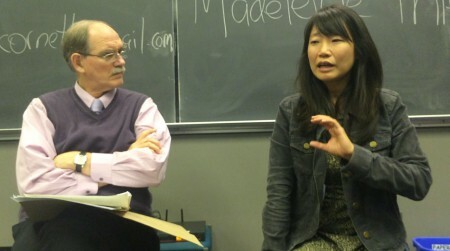 He led three dialogic sessions on writer Madeleine Thien’s work in Vancouver (at Simon Fraser University’s Harbour Centre) from April 22 to 24. There was a lot of reading and writing, in anticipation and preparation for meeting the author herself. There were about a dozen participants, and they were asked to read examples of Thien’s writing – without knowing where they are from – then react in the form of a written word, a sentence, a paragraph, then a stream of consciousness. 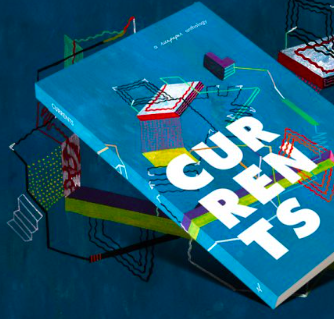 For more on Norman Cornett, here’s a YouTube video from New University Television. 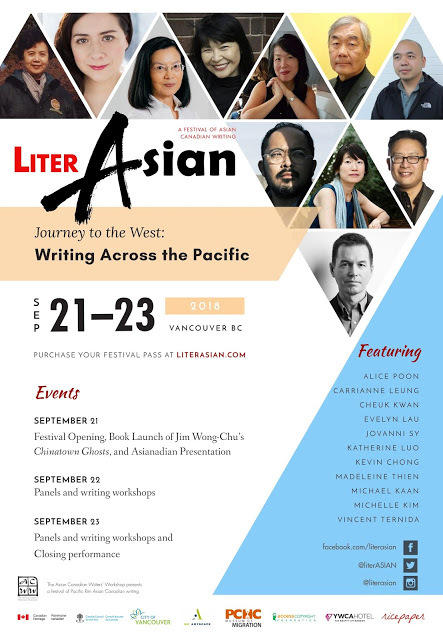 Madeleine Thien’s talk “On Hastings Street,” part of Vancouver of the Mind, was published in issue 18.3 (Winter 2013) of Ricepaper magazine. Buy a copy.